A number of Collinsport children have been taken from their homes, from “under their parents’ noses” recently, but their abductor isn’t Willie, nor any mortal man. A scene at the beginning of this drama reveals one child’s abduction after his grandmother leaves him tucked up in bed in his room. Someone who says that he “could be” Santa appears and converses with the little boy, asks him what he wants. When the boy realizes that this isn’t Santa, it reveals its true self. The next thing you know, the child has joined this creature’s choir of voices. Willie has said something to the effect that “he wants me back” at Collinwood. Maggie assumes that “he” refers to Quentin and heads up to the house to find out what happened to Willie there and why he wakes up screaming. 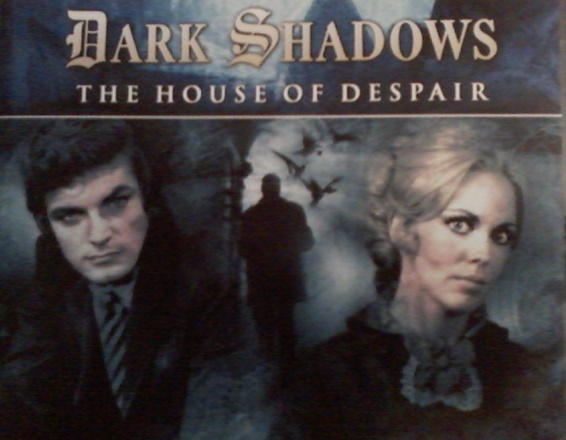 At the house, she meets the new Barnabas, who introduces himself–not as the Barnabas she used to know, you understand, but another member of the Collins family with that same name who’s come to help Quentin. He doesn’t claim to be a relative from England, but he sounds more British than Johnathan Frid did. While she’s at Collinwood, Maggie is lured into a room in the servants’ quarters by a whispered woman’s voice. She thinks it’s Angelique, whom she met as an “associate” of Quentin’s when she first came in, and who was jealously catty to her because of that Barnabas / Josette thing two whole centuries ago. Maggie discovers an old journal written by a maid named Charlotte Howell and reads the opening passages, which are dated April 16, 1926. Charlotte writes that the Collinses have made her work hard but they’ve been kind to her, more kind than her previous employers. But they have a weird habit of locking the servants up in their rooms every night. There’s a touch of romance concerning a young man Charlotte met at the Blue Whale. It doesn’t sound like much, but this is where the trouble for Maggie really begins, for this journal is the Book of Temptation mentioned in the audio-play’s title. Once you start reading it, you can’t stop.